Winter has well and truly set in, with temperatures well below freezing every day this past week. The result is that all the bays around us here are completely frozen over and so it’s time for the locals to have fun on the ice. We went out walking yesterday and I forgot to lift my camera before I left! 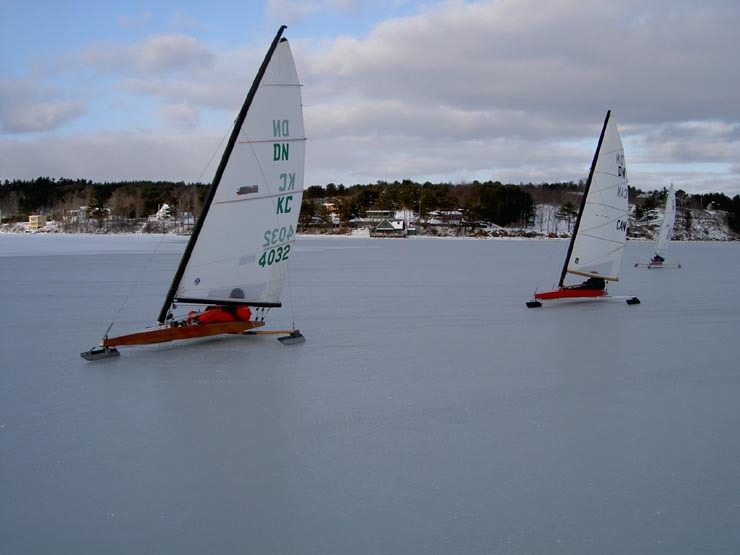 As we drove around Mahone Bay, we spotted a couple of ice yachts flying across the ice. Then on our way home we saw the whole racing club set up at Mader’s Cove end. 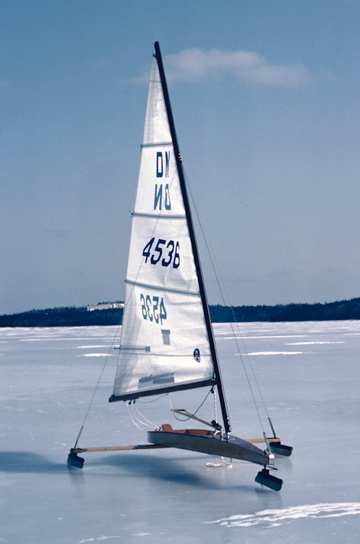 I did a Blog on these iceboats last year, but I think they are exciting enough for a second Blog. I took a couple of photos on my mobile phone, but then I don’t have a connector yet to put those photos onto my computer. 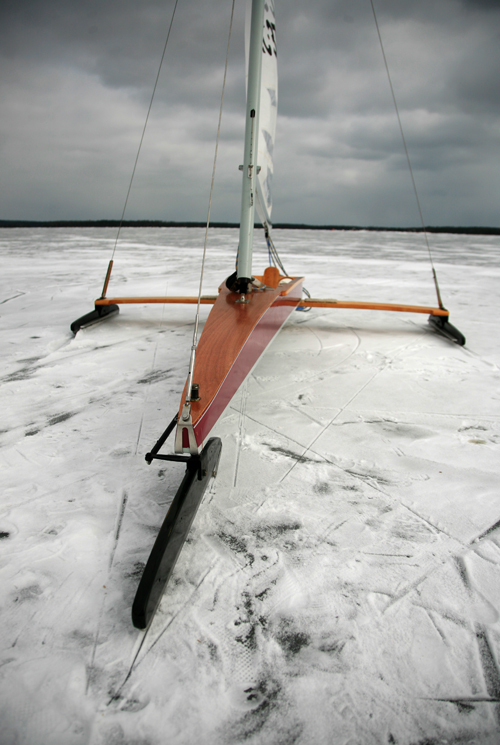 So I have taken these fantastic photos from the Nova Ice Yacht Club’s site. I’m sure they won’t mind the publicity. Yesterday was sunny with bright blue skies, although some of these photos are a bit cloudy. Here are the racers ready to start. This is how an ice yacht looks up close. Not much contact with the ice. Last year I gave links to a couple of you tube videos. Here are different ones. 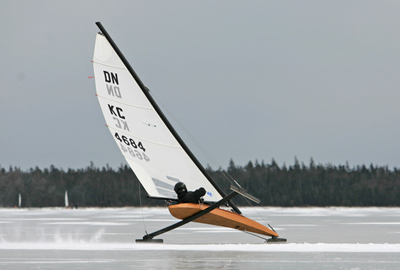 I was wondering if there would be ice yachting at the Winter Olympics, but have found that it might be included in the 2014 Olympics as a demonstration sport. Maybe after that? 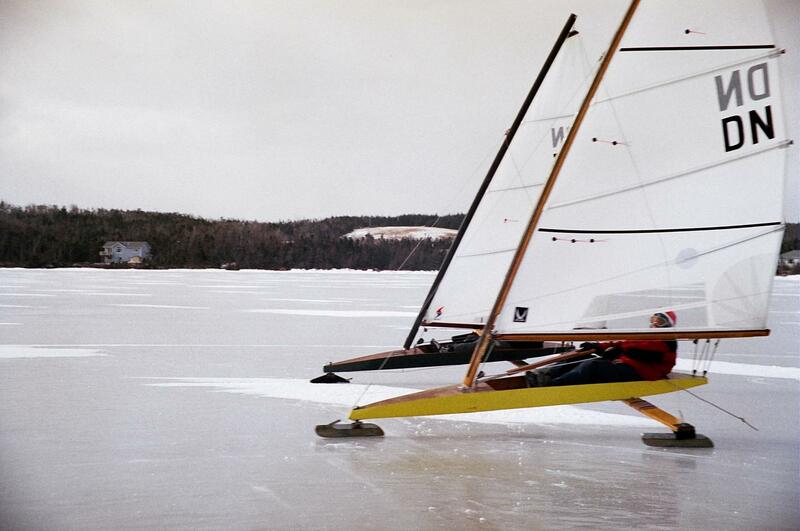 You have great photos from these ice yachts. I have heard about them, but never seen them. 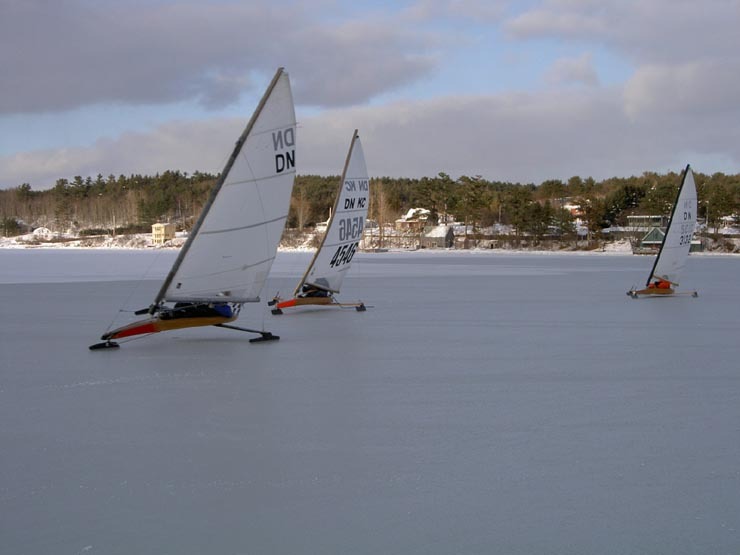 I guess that our problem is that it is snowing on lakes and the ice is very seldom free from snow. 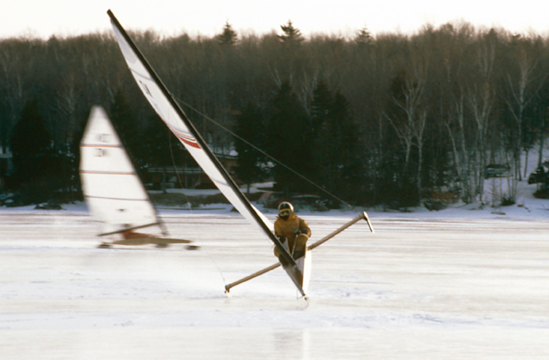 Now when “talking” about ice, I ask that do You have any “ice roads” during winter to shorten distance between two points over ice during winter. We have very long on some lakes and one on sea. I wish a very happy weekend to You. 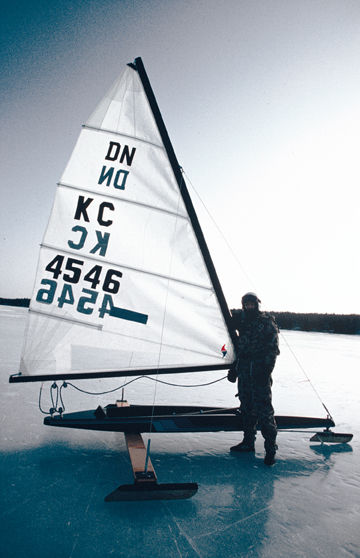 I thought you would have seen ice yachts in Finland. Would they not be even on the sea? We watch the Ice Road Truckers on TV – do you get that in Finland? These roads are way north in Northwest Territories, Inuvuk and the Yukon. Finland is on the Arctic Circle, whereas we in Nova Scotia are on the same latitude as Milan! That’s difficult to believe when its -20 and all the lakes and bays are frozen. Probably there would be roads across lakes here, if there was any need to get to the other side. I have to say now after examined this matter (ice yachts ) that we have it also, but it is not so general. I had not really seen it, but of course in neewspapers some photos. 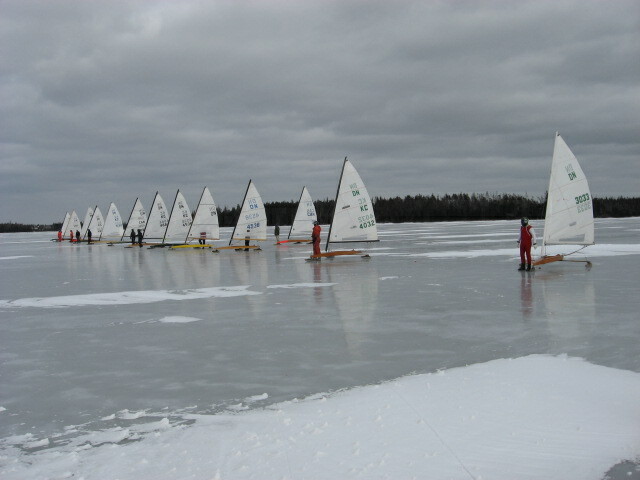 The ice is Here in the Bay of Quinte Trenton ON and it is Fast… If you send me an email Address.. TKS JIM.